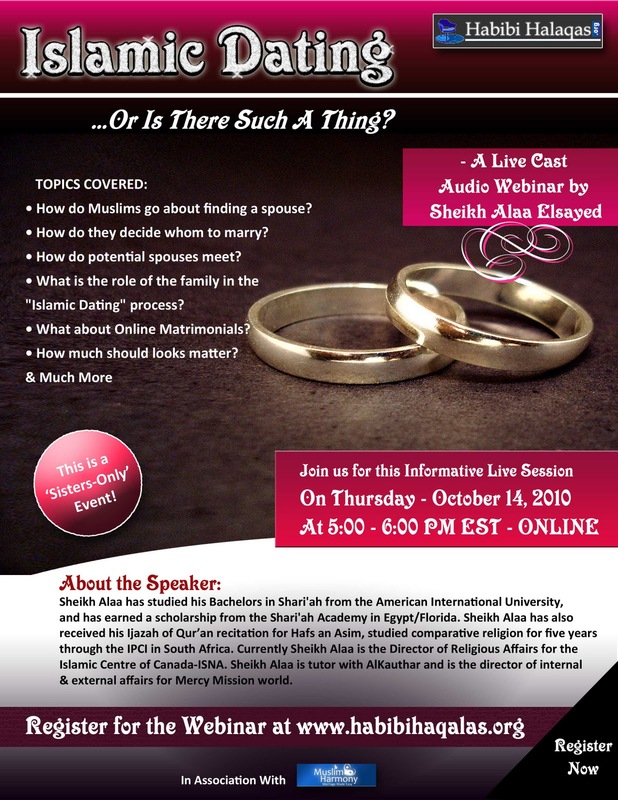 This is the recording of the webinar 'Islamic Dating or Is there such a thing?' 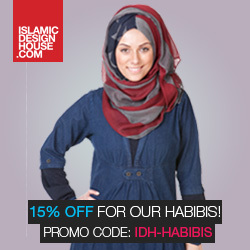 presented by Habibi Halaqas and Muslim Harmony. 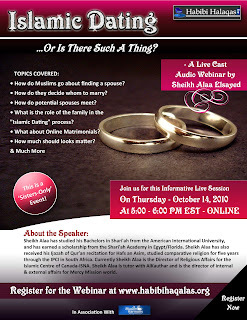 I have attended Habibi Halaqas webinars before but this was one of a kind mashAllah. Sheikh Alaa Elsayed had a very good humored way of speaking. I enjoyed the whole thing alhamdulillah. Dating and courtship are sensitive topics and it is very essential for every sister to know about the fundamentals of a Wali, the pre and post Nikaah interaction and the criteria for selecting a suitor. A major point I did not know of was that you are allowed to beautify yourself for a prospective suitor. I cant access the video even after typing the password. Alhamdulilah.. thanks to Sheikh Ala Saeed. MashALLAH beautiful and in time of need thank you again!